Dubai, November 10, 2014: Manzil Health Care Services, the dedicated provider of professional, individualized home care and rehabilitation services, has expanded its UAE presence with the opening of an office in Dubai. Manzil, which is headquartered in Abu Dhabi and has offices in Al Ain and Ras al Khaimah, will now offer world-class home care to patients in Dubai for the first time. The new Dubai office is located in Deira and currently has eight DHA-licensed nursing staff trained in the provision of care to pediatric and adult patients. Manzil provides home care services guided by the individual medical, rehabilitative and emotional needs of their patients. 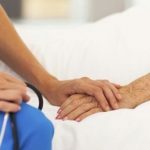 Services include wound care, physical therapy, cardiac care, post medical and surgical care, as well as the administration and management of medication, on both intermediate and critical levels. Manzil is affiliated with US-based Spaulding Rehabilitation Network, a Harvard Medical School Teaching Hospital, and recognized leader in rehabilitative medicine, long-term care and home care. It also has an affiliation with Joslin Diabetes Center the world’s leading diabetes research, clinical care and education organization dedicated to the prevention, treatment and cure of diabetes. Manzil is part of the TVM Continuum of Care companies and includes ProVita International Medical Center and Cambridge Medical & Rehabilitation Center. ProVita offers state of the art long-term care for ventilated patients and those requiring continuous medical and nursing intervention for serious medical conditions in a non-hospital setting. Cambridge provides specialized and dedicated medical care and rehabilitation services to patients requiring short-term comprehensive rehabilitation and long term care for patients with chronic illness or injury. The integrated approach between the three companies allows patients to receive care in the most appropriate environment, according to their needs, whilst guaranteeing a consistent level of quality care throughout their transition between care levels. Manzil Health Care Services was founded by Dr. Ghuwaya Al Neyadi in 2011 as Emirates Outreach Healthcare Services and was majority-acquired by TVM Capital MENA Ltd., a healthcare focused Private Equity investor in mid 2012. Manzil Health Care Services aims to be the leading provider of HAAD-licensed homecare services in the UAE.